At Marist Brass we beleive in providing opportunities for everyone to learn and play music. The expertise of our Music Leadership Team means we cater for players of all abilities, from beginners to the more experienced. Our team work together to ensure all players reach their full musical potential. 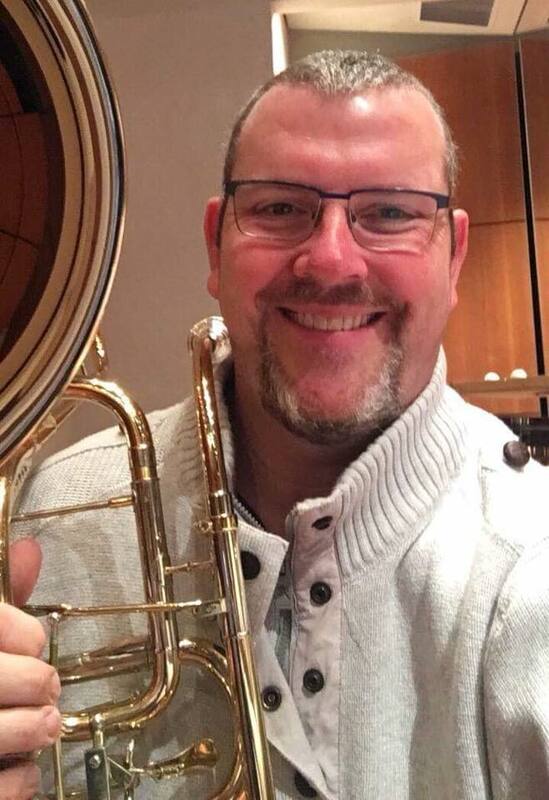 Marist Brass would like to warmly welcome back Matthew Pankhurst as our new Musical Director! Matthew is a highly experienced musician. He holds a Bachelor of Music and a Graduate Diploma in Performance from the Sydney Conservatorium. Matthew has performed with many of Australia’s professional orchestras, and has won eleven Australian solo championships and won the Victorian Champion of Champion twice. He competed at a number of international solo competitions. Matthew is the Music Representative at Marist College Bendigo and is enjoying the challenges of starting a school music program from the ground up. Matthew was previously the music coordinator at Bendigo Senior Secondary College, and many of his former students enjoy fulfilling careers in the music industry. Matthew is also a highly skilled ensemble director. For ten years Matthew conducted the Bendigo Colleges’ Symphonic Band, and he has previously conducted the Marist Brass Band Bendigo. Under his direction the band placed second twice at the Australian National Band Championships. He has also directed stage bands, brass and woodwind ensembles with great success. Matthew is also a passionate composer. His work “Threnody and Legend for Tuba and Piano” was selected as a test piece at the 2018 Australian National Band Championships. The band looks forward to working with Matt on some new and exciting projects! Claire McLean shares her musical gifts in the role of Director of Marist Academy of Brass. Claire grew up in the regional town of Taradale, and began taking piano lessons when she was just 7 years old. She took up the French Horn at the age of 11, and over the next few years played with many school and community groups. Claire was also a member of the Australian Youth Choir for a number of years, a highlight being performing at Hamer Hall with the Vienna Boys Choir in 2003. In 2006, Claire moved to Melbourne where she studied economics, mathematics and financial planning. Claire joined the Bendigo & District Concert band and the Bendigo Symphony Orchestra after relocating to Bendigo in 2011. 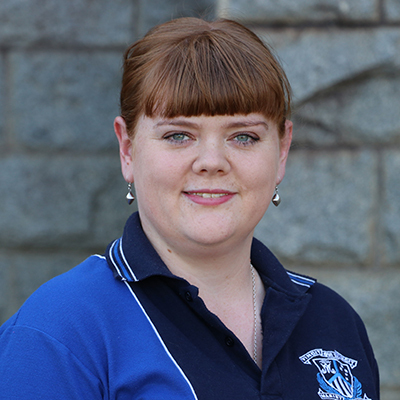 In 2013 she joined Marist Brass, and helped to establish the newly formed Marist Academy of Brass. At present Claire plays with a variety of ensembles in Bendigo and wider Victoria, including the Victoria Youth Symphony Orchestra where she recently had the honour of playing Tchaikovsky's Fifth Symphony, which contains arguably the biggest horn solo in orchestral horn repertoire. Claire is also a member of the Bendigo & District Concert Band, the Bendigo Symphony Orchestra and the Nexus Youth Theatre Company Orchestra. She is a registered teacher with the Australian Music Examinations Board (AMEB) and teaches music privately to individual students. During the day, Claire works for a financial planning firm in Bendigo. Currently, Claire is the secretary of the Marist Brass and plays Tenor Horn in the Marist Brass Band.